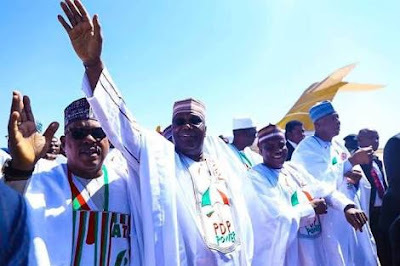 The presidential candidate of the Peoples Democratic Party (PDP), Alhaji Atiku Abubakar, has declared that it won’t be a winner-takes-all affair if he emerges victorious in the 2019 presidential election. Atiku said the PDP would run an all-inclusive government with the institution of a government of national unity (GNU). This will be drawn from the membership of other political parties in the Coalition of United Political Parties (CUPP). 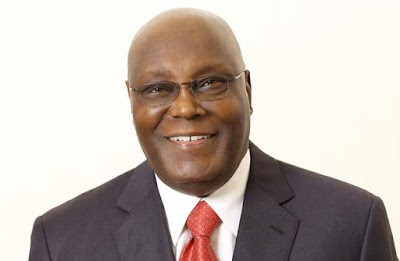 Speaking yesterday at a meeting with leaders of about 45 political parties that adopted him as sole candidate, Atiku said there will be no room for any cabal to operate under a government of national unity. Atiku said: “I want to commit myself to the continuation of the doctrine of government of national unity. “We believe as a political party in a government of national unity and there must be stability before you can do anything- implement your economic programme and implement your healthcare programme. “Right from the beginning, I have been a member of the PDP and I know we have always believed in a government of national unity. “It takes a long time for a country as diverse as Nigeria to be united and stable even before we start talking about which ethnic group we come from or which religion we practice. He encouraged parties in the coalition to make public their decision to adopt him as sole candidate for the benefit of Nigerian voters. Also speaking at the meeting, President of the Senate, Dr. Bukola Saraki, called on the parties in coalition to step up their campaign to ensure victory for Atiku. Saraki said: “The message everywhere we go is that this country must move forward and we have agreed that the existing President must give way because he is not leading us in the right direction. “We have met with Nigerians all over the country-the old, the not-too-old-and the message is that the President cannot lead us the right way. “We must be part of the process to usher in a new direction. The most important thing is that we want a change, a new direction. We want a man that understands the issues. “We have been to three zones and there is a common message and that message is one of insecurity and hunger. Everywhere in this country, hunger and poverty are the issues. “So the challenge before us is how to bring back prosperity to this country. “Government alone cannot bring prosperity to this country because close to 80 percent of government revenue goes into personnel cost and servicing of debts. “The remaining percentage cannot bring about development. “To bring development to this country today, you need an environment that encourages people to bring in investments. The chairman of the Coalition of United Political Parties, Prince Olagunsoye Oyinlola, said 15 other parties have indicated interest in joining the 25 parties that have adopted Atiku as sole presidential candidate. According to him, consultations were still ongoing to ensure that other parties in the coalition officially write to INEC to withdraw their presidential candidates. Oyinlola, who chairs the CUPP, is expected to coordinate events leading to the formalisation of the adoption of Atiku as consensus candidate and the official withdrawal of presidential candidates of other parties in the coalition.